Books about watchmaking are often dry, overly technical and come as several tomes. With this in mind, Anthony L. set out to write something all readers could enjoy and benefit from, in candid terms. We met this American watchmaker who likes to keep it simple. Anthony L. has a confession to make: “I started working on watches when I was 12, but I wasn’t exactly thrilled. 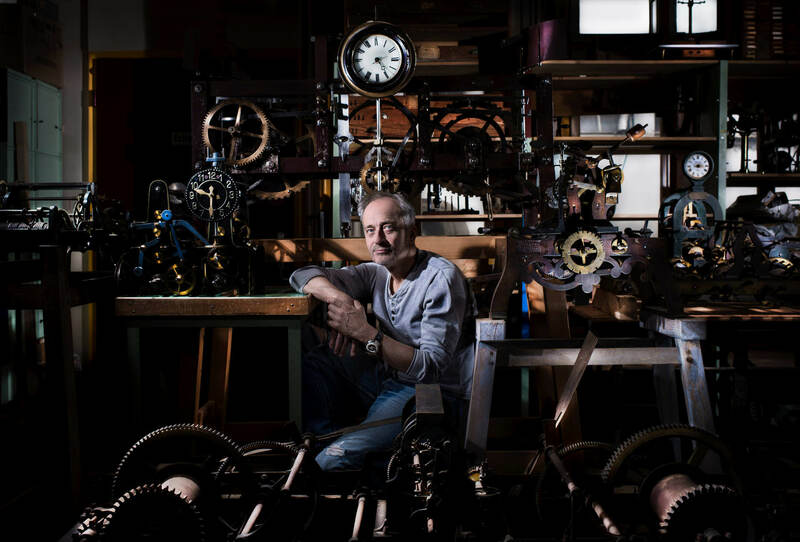 What I mean is, my dad was a watchmaker and he wanted me to get an early start on a profession that takes a long time to learn.” For a young Anthony, this meant getting out of bed at 5.30 in the morning to work on tiny watch movements until 8am when he had to leave for school. Back home, he’d spend the rest of the evening at the bench finetuning an ETA movement. “I hated it. My friends could watch cartoons and play outside. Me, I had to polish a part or read some dull book about how a tourbillon works.” After being squeezed into a watchmaker’s shoes… and finding out it was a profession he not only respected but was also good at, it made sense that he should make it his job. 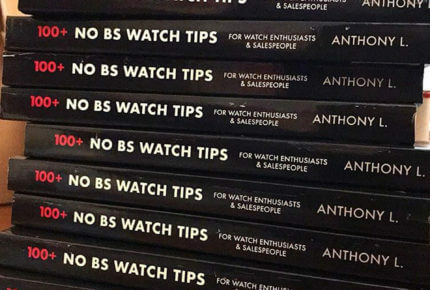 Anthony L. - Watchmaker and author "NO BS WATCH TIPS"
One of his earliest experiences, as a watch repairer at a multibrand retailer, could have put him off his new career for life. “The store got robbed. It was exactly like in a movie: guys in masks waving guns and shouting out the number of minutes they had left before they knew the police would arrive. I was scared out of my wits. 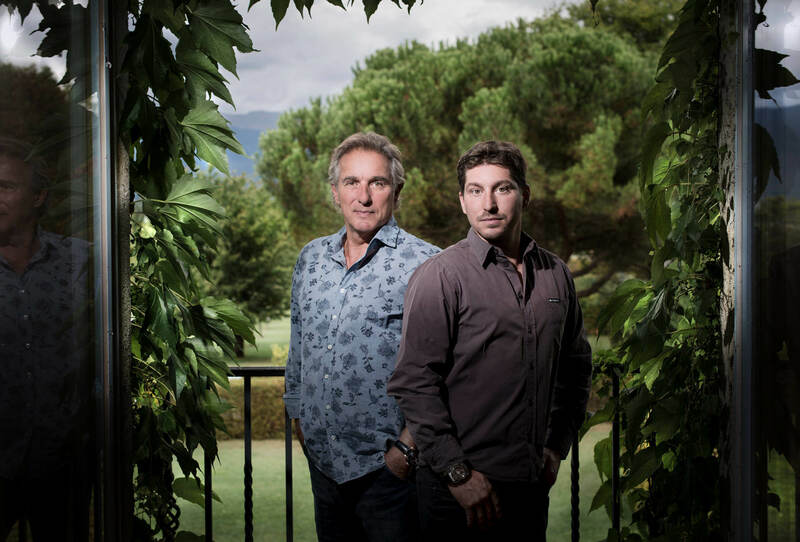 Fortunately no-one got hurt.” Armed robberies aside, Anthony came up against another obstacle: “People aren’t used to seeing a young watchmaker. We tend to imagine some old guy sitting quietly at his bench. And there I was, this kid speaking my mind in a way that doesn’t fit with the idea people generally have.” But having learned the intricacies of watchmaking when most kids are still struggling with seventh-grade math, he quickly attracted his peers’ attention not for his plain speaking but for the quality of his work. Anthony, meanwhile, had his own agenda, having observed just how little his regular customers – some of whom had been coming into the store for years – knew about watches. Similarly, he noticed how certain sales staff lacked the necessary understanding to advise and guide clients on technical points. “I remember a customer who came in to have a battery replaced. I couldn’t believe it when I saw it was actually a mechanical movement. Even after explaining it to him, he still didn’t get how it could work. Nor was this a one-off incident. Just a few days ago, a customer couldn’t understand why his automatic watch didn’t wind itself when he wasn’t wearing it. 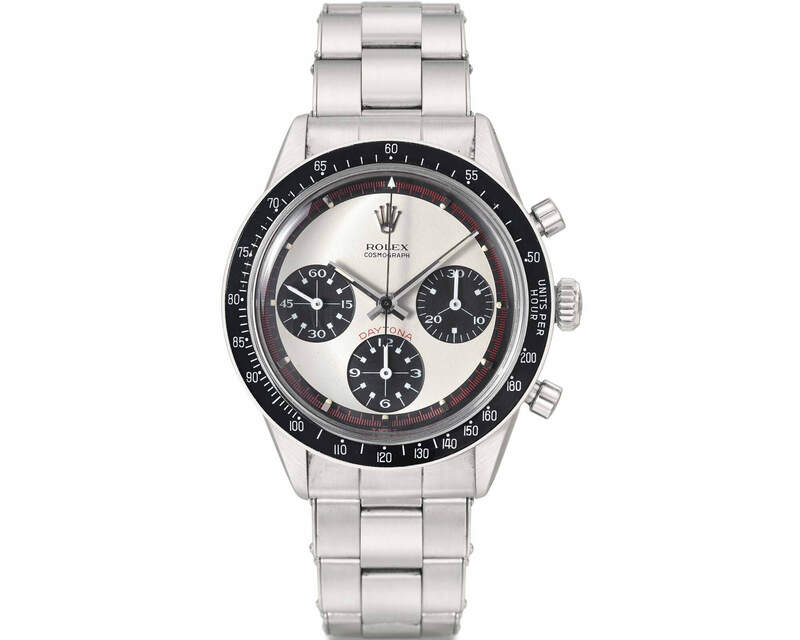 I spent a good ten minutes explaining how it worked.” These repeated exchanges with customers who effectively had no clue about watches gave Anthony the idea to write a book that sets out the principles in a language a layman can understand. The book is written in a conversational style with content that can be read in any order. It covers most themes: how to take care of your watch, how to spot a fake Rolex, when to have your watch serviced, how to talk to a watchmaker, how to pick the right watch for you, how a movement works… Fans of flowery language and lengthy descriptions should look away now: Anthony writes exactly how he speaks. 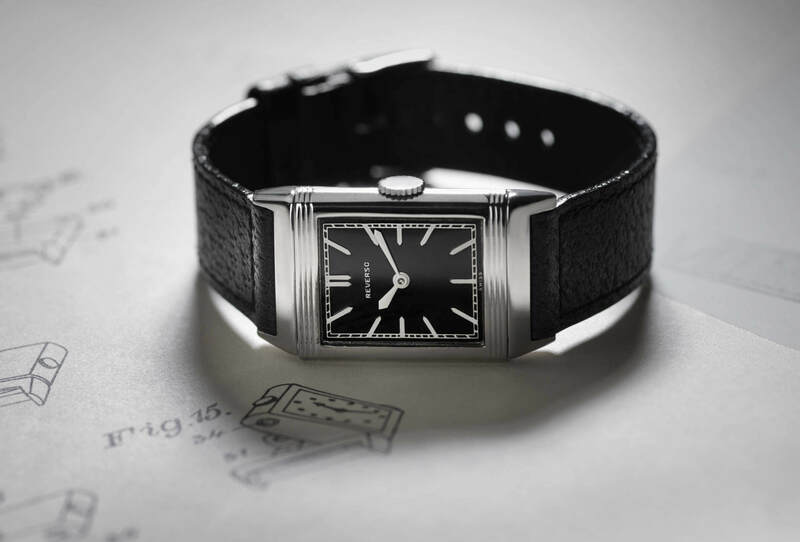 “I’m not going to romanticize watchmaking. 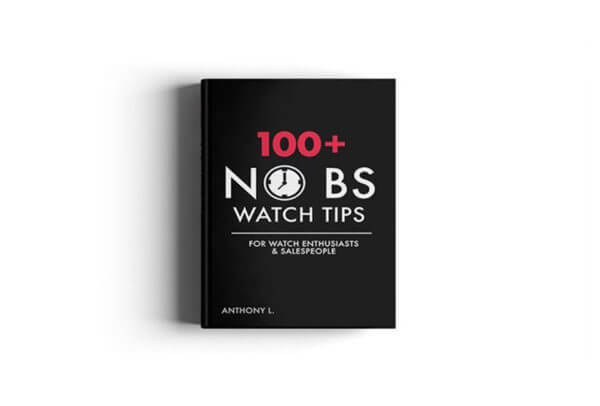 I’m going to tell it as it is.” The clue is in the title: No BS Watch Tips. Slow at first, sales have taken off since the book has been available from Amazon. 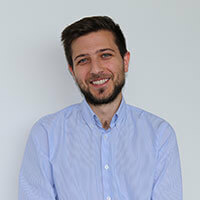 To help with marketing, Anthony also has an Instagram account where he relates his day-to-day dealings with customers. It’s funny, instructive and downright refreshing among the multitude of accounts that amount to little more than wrist shots. Find out for yourself. 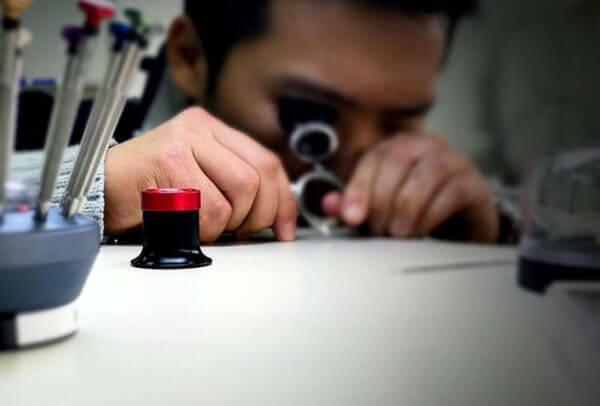 If you’re already au fait with the world of watches and what goes on beneath the dial, No BS Watch Tips probably won’t teach you much, but it will certainly raise a few smiles about some of the lesser-known aspects of the trade. And if you are a watch enthusiast who’s eager to learn, this is definitely a book to have in your collection. "NO BS WATCH TIPS" © Anthony L.